Information visualization is a rapidly growing field that is emerging from research in human-computer interaction, computer science, graphics, visual design, psychology, and business methods. Information visualization is increasingly applied as a critical component in scientific research, digital libraries, data mining, financial data analysis, market studies, manufacturing production control, and drug discovery. This book reveals how ideas evolve and spread, based on the experiences and innovations from a leading research lab. 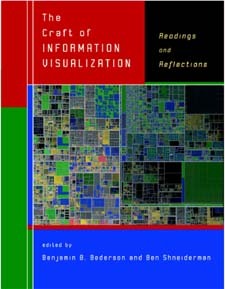 It collects for the first time, 38 of the key papers on information visualization from the University of Maryland's Human-Computer Interaction Lab (HCIL). Celebrating the lab's 20th anniversary, it presents a coherent body of work from a respected community that has had many success stories with its research and commercial spin-offs. Each chapter contains an introduction that describes the connections among those papers that trace the historical path of their innovations with personal stories of how research progresses.